India is a country which is home to many explored and unexplored gems. While there are plenty of places which are yet to be discovered and visited, most of us prefer to visit the popular ones simply due to the fact that they continue to attract people from across the globe. However, there are plenty of places in the country which are craving for attention. These places are truly hidden gems which need to be explored. If you happen to be one of the those people who travel to unknown destinations to run away from the crowds and chaos of a popular place, India is a country which is home to plenty of such destinations. Have a look at some of the lesser-known places in the country which you can head to in the upcoming year. Located at a very close proximity to the popular hill station of Munnar, Devikulam is small town which is well known for its sacred lake. According to legends, Sita Devi is believed to have bathed in the waters of this lake which is surrounded by lush-green hills. The place also gets its name from the lake Devikulam, which in translation from Malayalam means the pond of the goddess. The place is also home to plenty of tea plantations and waterfalls, which attract quite a number of visitors. Khonoma is a hilly hamlet located at a distance of 20 km from the capital city of Kohima. The village is to have come into existence around 700 odd years ago and is home to the Angami Naga tribal community. The place is well known for its forests and unique practices of agriculture, which also include the oldest form of terrace farming. 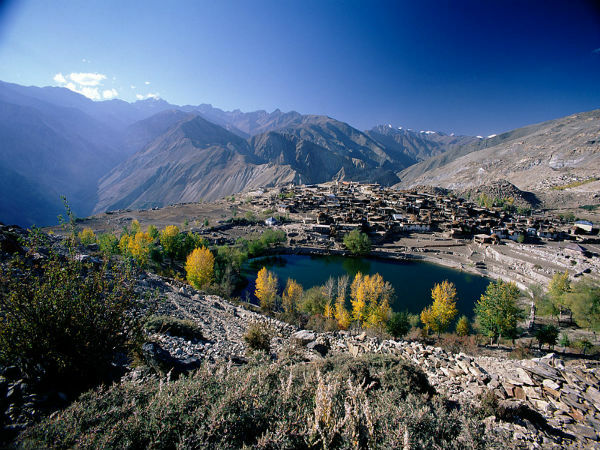 Located close to the Indo-China Border, Nako is a hamlet located in the Himalayas of northern India and is the highest village in the Hangrang Valley. The village is bordered by the Nako Lake and is home to the Nako Monastery, which was constructed in the year 1025 along with several other Buddhist stupas. Mandawa is a town in the Shekawati region of Rajasthan and is known for its forts and havelis. The city of Mandawa was established in the 18th century by the clan of the Shekawat Rajputs. One would come across multihued forts and havelis which would make one look up in wonder. The town is often referred to as an open art gallery, simply due to its lavishly painted walls and beautiful havelis. Located in the Panchmahal district of Gujarat, Champaner is a historical town which is filled with the ruins of a once glorious city. The area has been declared as a UNESCO World Heritage Site. The monuments here showcase the transition between Hindu and Islamic culture and architecture during the period starting from the late 15th century to early 16th century. One would come across mosques, Hindu and Jain temples, palaces, tombs, residential complexes and many more monuments.